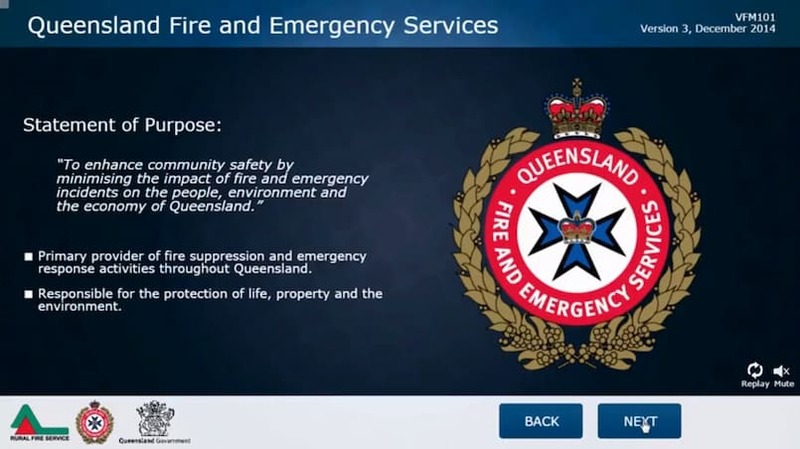 VMP were asked to assist in providing self-paced online training opportunities for volunteers across Queensland to further their skills, knowledge and involvement in the Rural Fire Service. 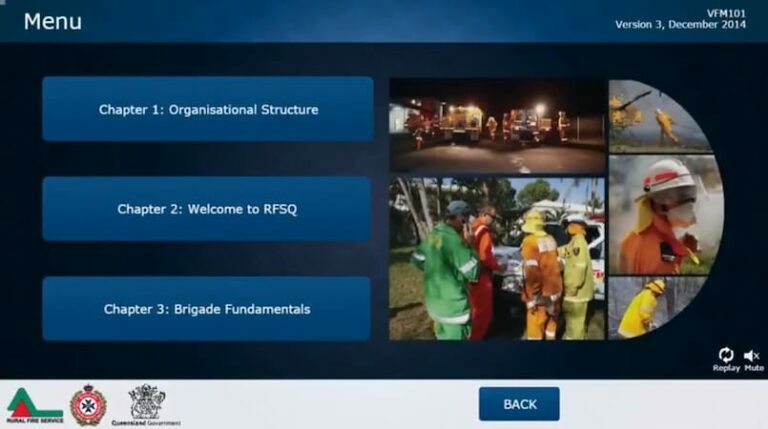 These training tools needed to allow a diverse range of participants to learn at their own pace and in their own environments, while assuring a consistent delivery and level of competency in the required skills. Topics included a Brigade Induction and First Officer training. These packages consisted of 30 self-paced interactive e-learning courses covering complex topics for those seeking accreditation as a First Officer for the Queensland Fire and Rescue Service. 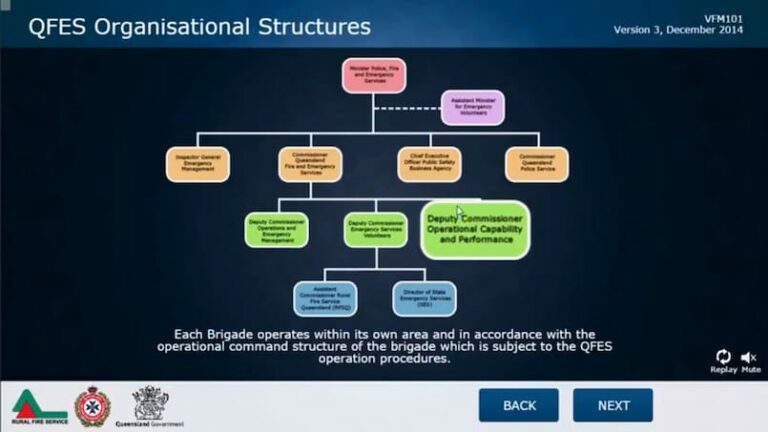 Each production includes individual secure log-in and progress scoring, realistic scenarios and relevant theories, and interactive activities assessing comprehension and retention of the material. "I found VMP very easy to work with - they listened to my brief and put forward ideas of how this could be best accommodated. Deadlines were constantly met and I was updated on their ideas and progress throughout. Overall I was impressed by their professionalism and approachability. The stress was taken out of the task."